With the Consumer Electronics Show drawing to a close, it’s time to reflect and decompress. 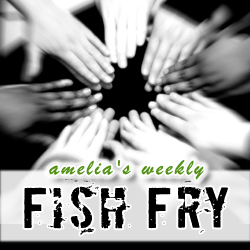 In this week’s Fish Fry, we meditate on the electronic engineering wonders and winners of the 2013 element14 Annual Community Awards with Dianne Kibbey of element14. And, if you’re still tense after a solid week in the consumer electronics playground, you are certain to enjoy the soothing waters of PADS board design software. This week, we unveil a whole new way to binge on your favorite Chalk Talk webcasts with the launch of an exciting new series that might make you rethink your board design strategy. We’re giving away a GertBoard (courtesy of Newark element14) to one lucky listener this week! Head on over to element14.com/fishfry to enter to win.